Having an effective social media strategy is essential to any organization’s marketing approach. However, having one is easier said than done. In fact, only 48% of businesses say that they receive a positive ROI from their social channels. While there are many reasons for this, it’s safe to assume that social media marketing is not as easy as it used to be. Facebook and Instagram’s algorithm change has nearly killed organic traffic. Additionally, companies have to spend a considerable amount of time working on content creation, targeted social ads (not to be confused with pay-per-click, or PPC marketing), influencer marketing, customer support, and staying up to speed on current social trends. It’s no wonder that digital marketers are eager to integrate AI into their social media strategy. Fortunately for all of us, the future is here. AI and machine learning technology are in full swing, and they aren’t going anywhere anytime soon. Learning how to utilize this amazing technology can streamline your workload and create a better customer experience for those interacting with your social feeds. Even though chatbots are still in their infancy, they are already being used by marketers to automate communications with their customers. In fact, according to Entrepreneur, there are over 1.3 billion users on Facebook Messenger. But, there are only 300,000 bots featured on the Messenger platform. With such a big user base and low competition, the possibilities of engaging and interacting with your customers are endless. 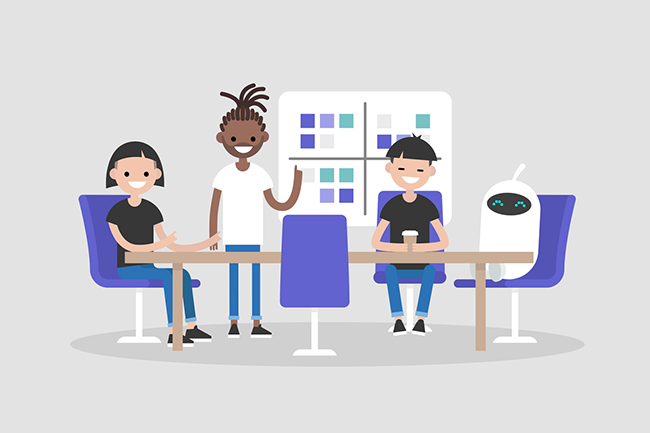 One of the greatest aspects of Chatbots is that they are fully customizable. They perform a number of functions. Chatbots can start a conversation with a potential customer when they interact with one of your social posts or ads. Thanks to AI and machine learning, bots can also help your customers by answering questions they may have about your product or service. Some bots even have the ability to direct your customers from a social page to a product found on your website. Chatbots can also be utilized to check in on past customers. You can offer them promotions, discounts, and exclusive deals all through automated social media messaging. AI bots are also great customer service representatives. They can provide 24/7 customer support with little overhead. Perhaps one of the greatest perks about using a Chatbot is the tremendous insight you get from your customers. You can track and analyze customer data to re-target customer personas, improve user experience, and ultimately increase conversions. AI-based systems now allow marketers to conduct in-depth competitor research. Instead of manually combing over your competitor's Facebook posts to see what type of content is performing well, artificial intelligence programs can do the heavy lifting for you. Having AI do a competitive analysis gives you a tremendous advantage as well. For one, it saves you a lot of time and money. But, most importantly, it gives you data that you couldn’t get from looking at a Facebook status. 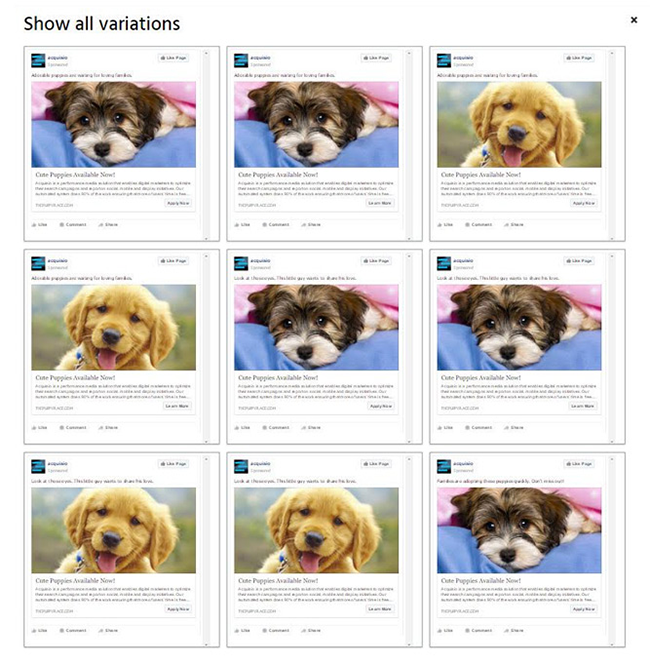 AI can estimate how many impressions and how much reach any given post has accumulated. This insight can help you make data-driven decisions into what type of content your brand should be making. Companies like Cortex provide AI and machine learning tools to keep tabs on your competitors. Competing on social media is already hard enough. Why not make it easier by having AI on your side? Most digital marketers would probably agree with the following statement, “If you build it, they won’t come”. Creating effective content on social media requires research, planning, execution, and promotion. After all, promotion is one of the 4 P’s of the marketing mix. So, how can AI help with promotion? AI gives you the data to assist marketers in making better data-driven decisions. As mentioned above, it can give you an understanding of what type of posts and ads perform well. Machine learning calculates what kind of content performs best based on the content itself, timing, competition, and audience. Through AI, marketers can determine how to make the most out of their promotional budgets. 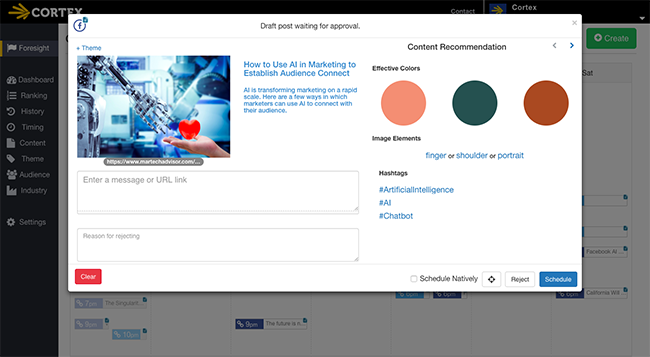 AI tools like Acquiso uses high-frequency predictive algorithms to help marketers optimize their social ads. Artificial intelligence has made exceptional strides over the past few years and will continue to do so. Marketers have the opportunity to take advantage of this technology now. Used properly, it can give them a tremendous competitive advantage and can help them create a better user experience for their brand’s customers.